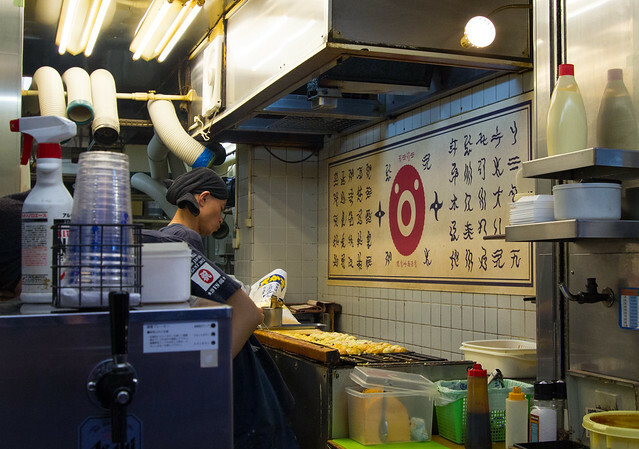 Osaka is famous for takoyaki. 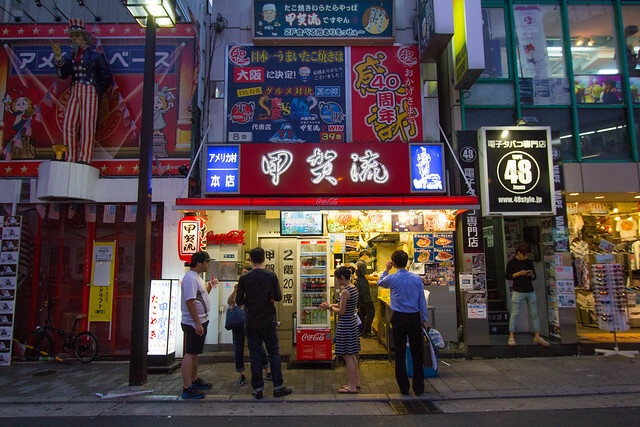 You can’t leave Osaka until you’ve tried it from the most popular takoyaki shop in Amerikamura (アメリカ村, translated as ‘American Village’), or Ame-mura for short. My cousin knew of this place, so she took us there to try the negipon takoyaki (ねぎポンたこ焼き). It was served on a styrofoam tray, 10 pieces for ¥450. 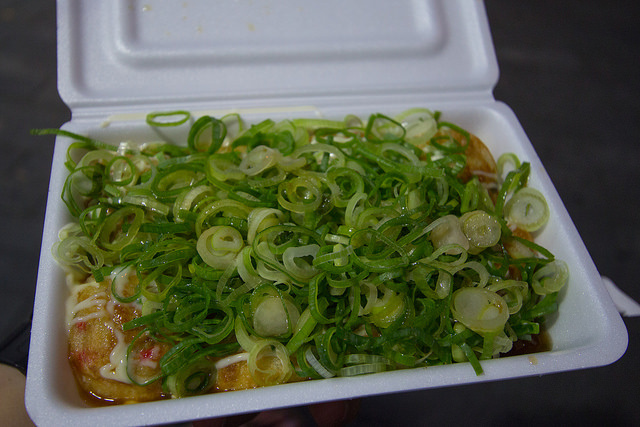 The sauce in traditional takoyaki is a thick sauce with a taste similar to Worchestershire sauce. 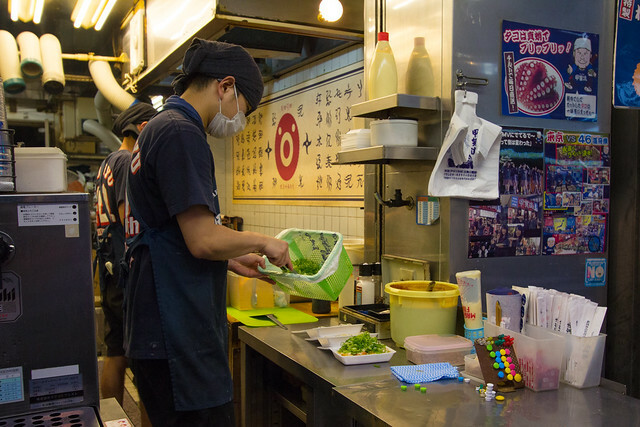 On the other hand, the sauce in negipon takoyaki is ponzu, which is a thin sauce that made the takoyaki soft, wet, and flattening. Negipon takoyaki looked deflated compared to traditional takoyaki, but it was quite tasty and addicting!